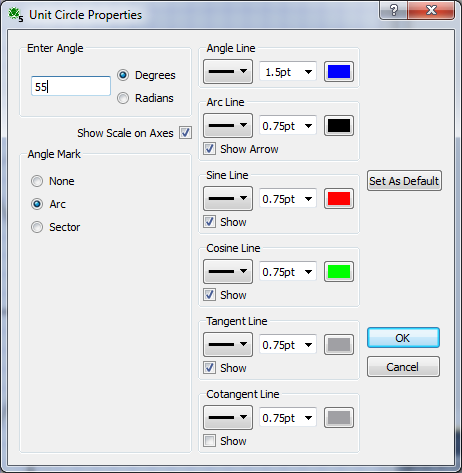 We have given the unit circle tool a major overhaul with a number of new features that make the tool much more useful for demonstrations and graphic production. 1. 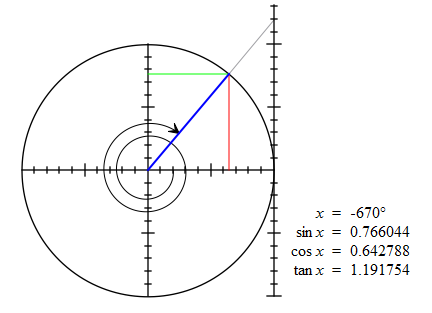 The unit circle tool can now interpret and show angles greater than 360 degrees. 2. The arc now has the option of an arrow head as shown above. 3. The unit circle can also show negative angles. 4. You can set the unit circle to larger angles and negative angles by using the unit circle’s keyboard short cuts (up arrow = +1 degree, down arrow = -1 degree, page up = +10 degrees and page down = -10 degrees). 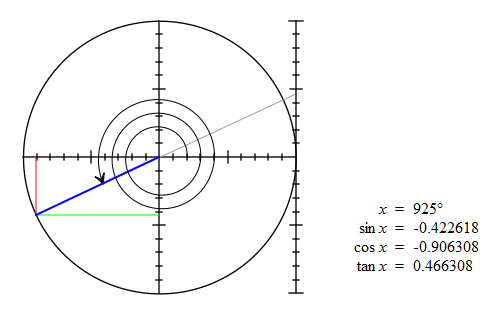 You can also explicitly set angles for the unit circle on the unit circle’s property page. 5. There are a number of usability improvements, particularly when controlling the angle line with the mouse. The changes have been included into the latest upload of FX Draw 5. If you hold a perpetual licence for FX Draw 5 or if you are currently hold an FX MathPack subscription, you can download the new version (5.005.9) immediately. Many thanks to J Moor for his suggestions!